Kirkby Lonsdale Country Market (not to be confused with the Kirkby Lonsdale Charter Market!) is a successful, friendly co-operative with a community feel. Run in accordance with the rules of Country Markets Limited, a nationwide organisation established over ninety years ago, encouraging people to discover the diversity and deliciousness of local British food as well as showcasing talented crafts people and artists. 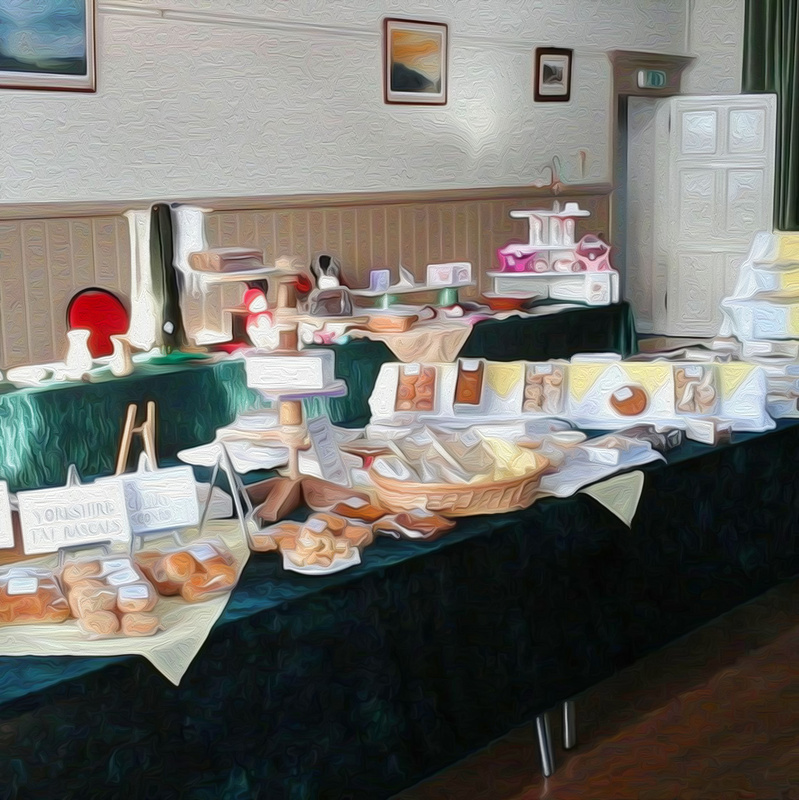 Kirkby Lonsdale members bring to our market a wide variety of high quality produce. Many members sell more than one type of produce being experienced bakers and preserve makers as well as gardeners, bee keepers and hen keepers, often bringing fresh fruit, flowers and vegetables from their own gardens or small holdings. For more than 90 years a network of about 300 Country Markets across England, Wales and the Channel Islands has been selling homemade baked goods, preserves, garden-grown fruit and vegetables, plants and handmade crafts. Visitors to these markets can buy a variety of produce – almost anything local and seasonal that can be produced in a domestic kitchen or garden. Alongside the homemade goods many Country Markets also sell meat, fish and dairy goods, honey and eggs from local producers. Country Markets are held weekly in a variety of venues in cities, towns and villages and Marketeers also participate in Farmers’ Markets, town markets, county agricultural and specialist food shows. The Producers pride themselves on keeping traditional home cooking, home growing and hand crafted items alive, as well as producing the latest fashionable produce. Producers are Members in this co-operative social enterprise called Country Markets, which is organised into local Co-operative Societies registered under the Co-operative and Community Benefit Societies Act 2014. Membership is open to anyone over the age of 16; the cost of joining is just 5p – the modern equivalent of an old shilling. Everything is sold co-operatively; producers receive payment at the end of every month for their sales, minus a small commission to cover running costs and insurance. Country Markets aim to encourage the public to discover the diversity and deliciousness of local British homemade baked goods, preserves, garden-grown fruit and vegetables. They also show case the skills and talents of local craftsmen and artists. Producers pride themselves on the quality of their produce and the friendliness of their Markets, many of which have become popular, lively meeting places. Kirkby Lonsdale Country Markets is a member of Westmorland Country Markets, with markets in Ulverston and Arnside.